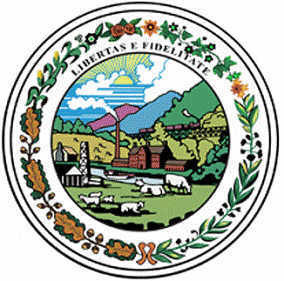 The West Virginia state seal identifies government buildings and officials and is a centerpiece for the West Virginia state flag. The image shows a stone boulder that has been inscribed June 20, 1863, the date West Virginia became a state. Two figures, a farmer and a miner, stand either side of the boulder and represent the industries that were important to the early economy of the state. The farmer holds is axe and his hand rests on a plow. 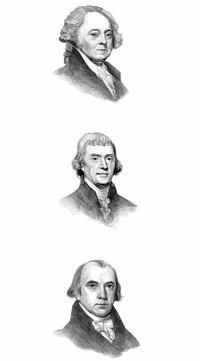 He is depicted next to images of wheat and corn symbolizing agriculture in West Virginia. The miner holds a pick and behind him is an anvil and sledge hammer. In front of the stone boulder are two crossed rifles on top of which lays a liberty cap. The red stocking cap (the pileus, or Phrygian cap) was said to be worn in ancient Rome by slaves who had won their freedom. 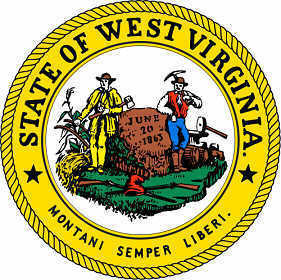 The West Virginia seal is kept and used as required by the Constitution and laws of the state.